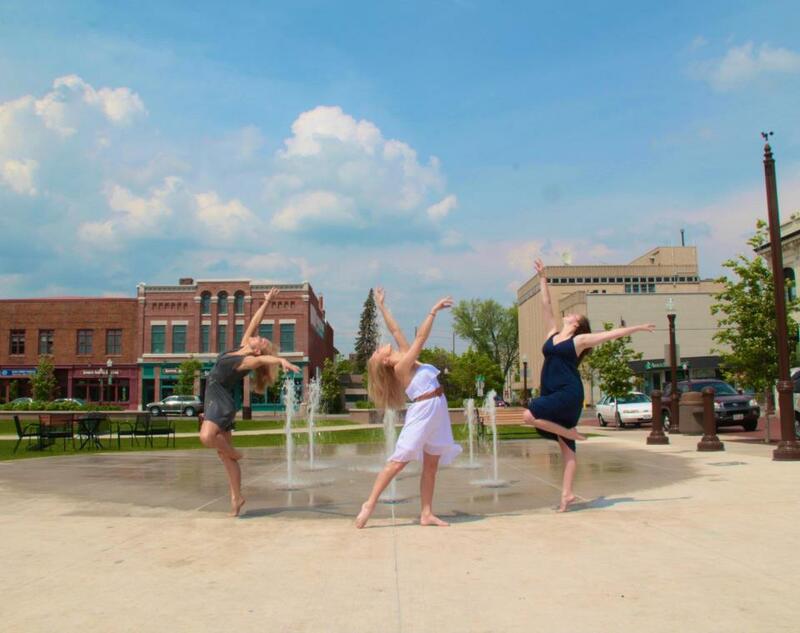 DDH dancers and volunteers participate in many events and activities that give back to our community. We find that it is very important to be a part of something bigger and connect to our studio to the surrounding area. One day an eight year old had a dream to Make the World a Better Place. 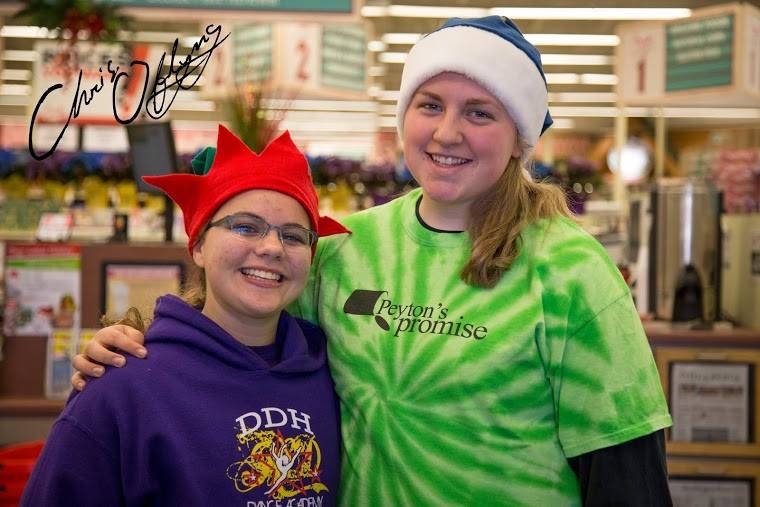 Today Peyton’s Promise continues with Peyton and her team of over 60 trained advocates. The Advocates inspire others to make a difference, fill pantry shelves and develop their own programs. Within Peyton’s Promise all the programs they have come up with, make the organization they way it is today. The team recruits students 4th grade students and older to show them that they can be part of this amazing team. With most food pantries only open two times a month, clients that visit the food pantries tend to look at it as a special Walmart just for them. 1. To raise awareness about the problem of hunger. 2. 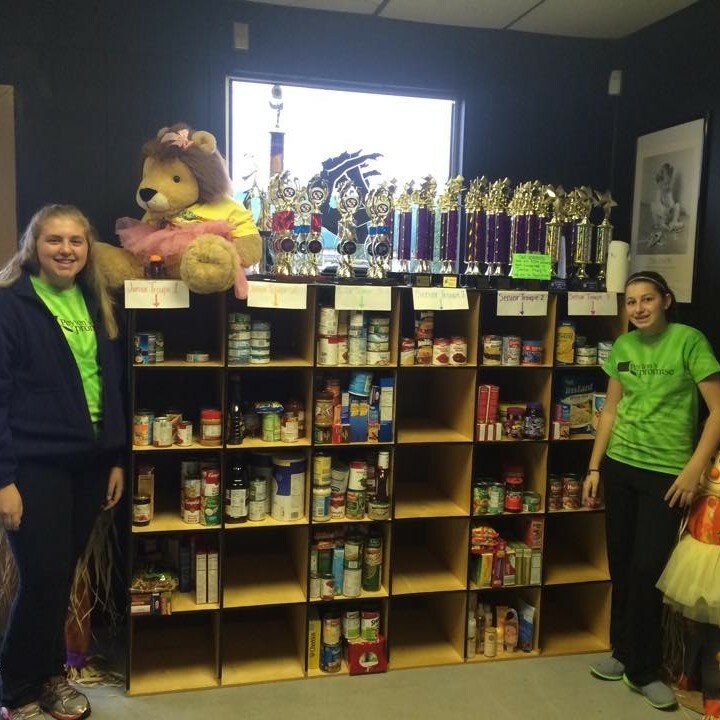 To keep the food pantry shelves FULL. 3. To fight childhood obesity. These funds are distributed in a fair and responsible manner and are awarded to a first come, first served basis and the availability of funds. If funds become limited, students will be placed on a waiting list until funds become available. Student must not be involved with any unlawful criminal situations, alcohol and drugs. It will not be tolerated and will result in an immediate dismissal from Scholarship program. Tis the season! 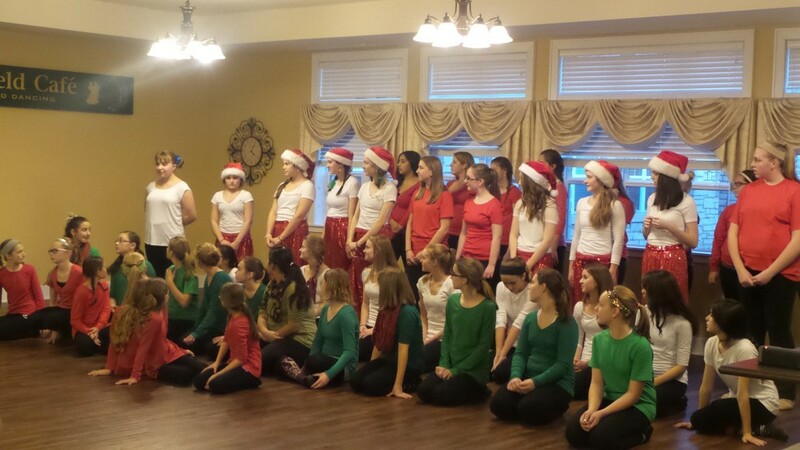 Every year DDH Troupe dancers visit a number of local assisted living and nursing homes. Thanks to a couple extra practices, our dancers come together to perform Christmas themed dances that spread the joy of dance. One of the benefits of DDH Dance Troupe is taking part in our Christmas Performances. For more information about becoming a part of DDH Dance Troupe or helping volunteer take the next step. We appreciate our DDH dancers and supportive parents for volunteering their time and efforts for a good cause. 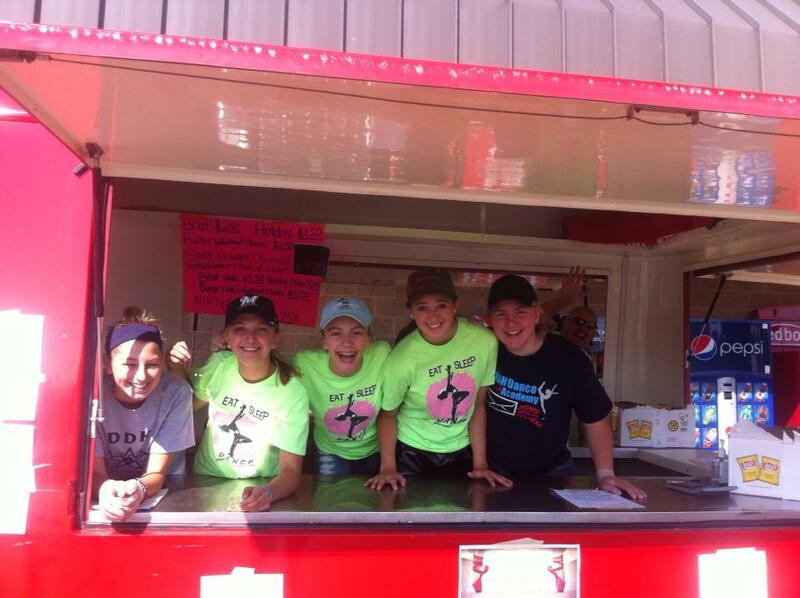 In addition to helping out the community, DDH dancers also do fundraisers to help lessen costs for dance expenses. For example, our dancers and parents took part in serving brats and burgers in the community – so proud of their enthusiasm – way to go DDH dancers. DDH is always looking for new ways to get involved with the community and help others experience the gift of dance. To keep up-to-date on more fundraisers by contact Dee Dee. 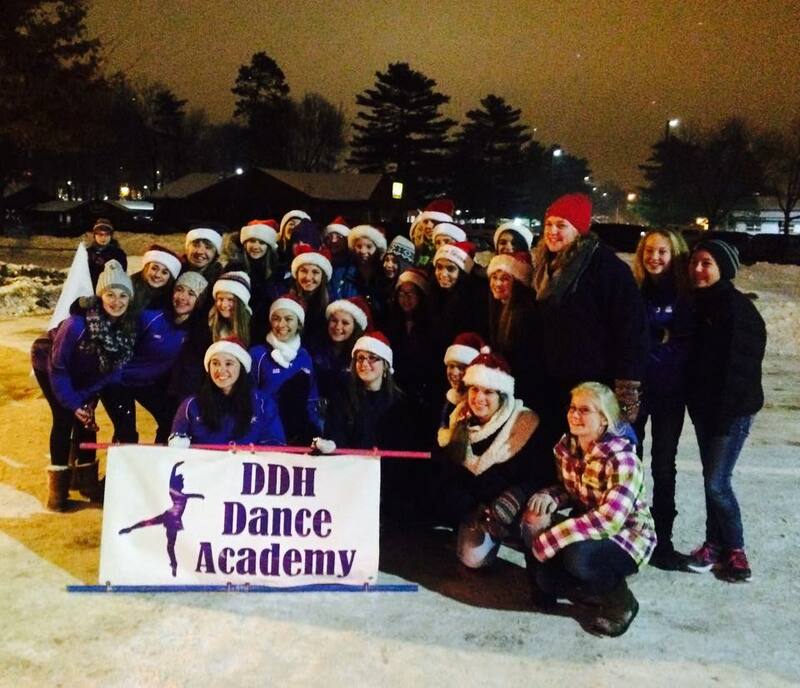 Every year DDH Dance Troupes take part in the Wausau Christmas Parade. Our dancers show their dance spirit and enthusiasm while dancing and singing along side our Christmas themed float. One of the benefits of DDH Dance Troupe is taking part in the Holiday Parade. For more information about becoming a part of DDH Dance Troupe take the next step. 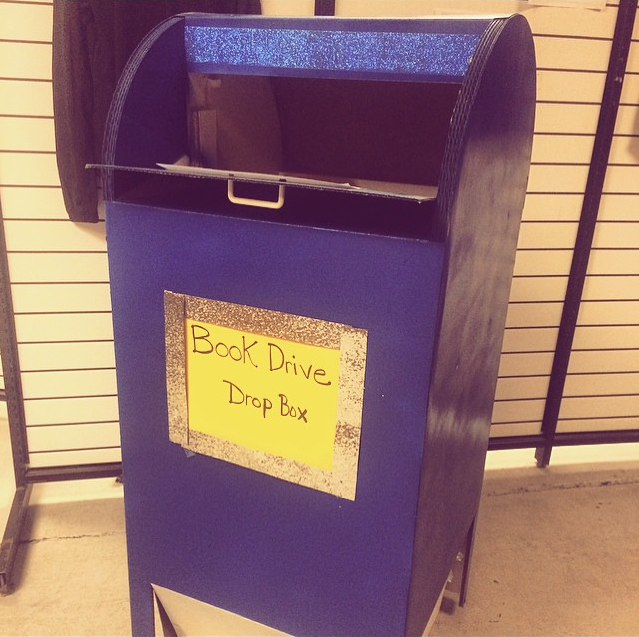 In keeping with the 2015 year theme, “Turning Pages”, DDH Dance Academy decided to do a book drive to help those in need in our community by providing four Habitat for Humanity homes and families with a bookshelf filled with slightly-used to new children’s books. The organization we are working with to make this happen is Altrusa. Altrusa is an international non-profit organization making our communities better through leadership, partnership and services.